The U.S. should focus on real power and not fall for bluffs. The United States has difficulty evaluating the threat posed by adversaries. Before World War II the U.S. massively underestimated the Japanese. In Vietnam, the U.S. underestimated both the resiliency and will of North Vietnam. In Iraq, the U.S. underestimated the response to the destruction of Saddam Hussein’s regime. In each case, the U.S. assumed that the adversary viewed our strength the same way we did. More precisely, the U.S. believed that having viewed our strength, adversaries would not be able to identify our vulnerabilities. The U.S. sometimes vastly overestimates its adversary. World War II wrecked the Soviet Union and it would take a long time to recover. The Soviet Union had numerous weapons available, but its training, command structure morale and, above all, logistical system lacked the robustness needed to fight a high-intensity war. The Soviets knew this, which is why despite our conviction of their overwhelming strength, they never attacked. Instead, they conducted psychological operations to undermine our confidence by supporting terrorist groups in Europe in the 1970s and ’80s in an attempt to create pro-Soviet opposition groups around the world. The U.S. never clearly grasped that rather than representing Soviet strength, these operations were designed to hit American confidence. The Soviets were far weaker than imagined, and the Soviets helped us overestimate their strength. Three reasons explain the misinterpretation of Soviet capabilities. One was Pearl Harbor. The U.S. failure to properly evaluate Japanese capabilities taught U.S. intelligence to err on the side of extreme caution with major adversaries, even as it underestimated the capabilities of lesser powers. The second reason was the American fetish for the quantitative. The number of tanks was counted. The state of repair, training of troops and the ability to maintain command and control in battle – the “soft” aspects – were neglected. Finally, the U.S. emerged as a global power in 1945. It takes time to establish a culture of cool and unemotional global objectivity. We were obsessed with a war we never fought and which was likely not to happen, and were defeated in the wars we did fight, some of which ought not to have been started. We currently face two major adversaries, China and Russia, and in each case we are displaying a tendency to miscalculate their strengths and failing to understand their weaknesses. As a result, we are having difficulty crafting a response. China is a significant power with problems and limits. Its core problem is a significantly weakened economy due to a decline in exports and a troubled financial system. This would be manageable in most countries, but enormous inequality and poverty has made normal adjustments to its new situation difficult. The fear of social unrest has generated a dictatorship that is carrying out an aggressive purge to ensure the party remains stable. People discuss the money China has invested in U.S. government bonds and see it as a strength. In fact, it is a weakness. It represents China’s inability to utilize this money because of an undeveloped economy, and repatriating the money would have massive effects on the yuan and inflation, further undermining China’s economy. No other banking system is large enough to absorb the money and stable enough to guarantee it. There is a significant overestimation of China’s power and a failure to see its weakness. Militarily, China is far from ready to wage war. The People’s Liberation Army is designed for internal security. China’s geography makes aggressive warfare almost impossible. The Chinese navy does not have an operational carrier battle group. It has ships. But it has never waged intense warfare at sea, and its admirals and staff are untested in battle. Most importantly, the traditions for developing doctrines and coordinating air-sea operations don’t exist. There is discussion of China invading Taiwan. China has two brigades of fully operational marines, with two others in reserve. Taiwan has 10 well-trained and armed divisions and over 200 aircraft. China lacks sufficient amphibious vessels and the ability to resupply a force capable of engaging Taiwan. In an invasion, the balance of power is in Taiwan’s favor even without the United States. China’s behavior in the South China Sea is similarly limited. Its problem there is that the sea is enclosed by a string of islands that would facilitate a U.S. blockade of China’s access to the global oceans. China wants to create an opening the U.S. can’t block. But its behavior has been entirely a bluff. It has constantly signaled hostile intent, but never actually engaged in significant hostile actions, which I call shooting. It stole a U.S. sea drone last week. Notable, but not significant. The point is that China has done everything it can to appear strong without taking any significant action. China is substantially weaker than it looks; China knows this and is doing what it can to appear stronger and more menacing than it is to set the stage for a political solution to its problems. Russia is in a similar position. Its economy is in serious trouble. It could not cope with events in Ukraine, a critical strategic issue. Instead of dealing with the issues Russia faces, it embarked on a small intervention in Syria, a country of no strategic importance to Russia. The primary motive has little to do with direct Russian interests, but rather entails a low-risk operation designed to make Russia appear to the U.S. and Russia’s own population as a global power. It is particularly telling that in the wake of events in Ukraine, Russia announced a massive increase in defense spending. To put it differently, Russia realized it didn’t have the ability to take significant military action in Ukraine and is now rectifying that problem. But as we also know, the time between authorization of expenditures and actually fielding equipment and training forces to use them can be many years. As in the 1980s, the Russians have attempted psychological operations to throw the U.S. off balance. The apparent hacking of emails during the U.S. presidential election is cleverly designed to make it appear the election was stolen from one candidate, and to discredit the new president. The apparent hacking also made it appear the Russians are a dark and dangerous force. It was a well-conceived, low-risk, low-cost operation designed to shift atmospherics. But when we look at Russia more clearly, we see a country with a failing economy, a weak military and which desperately spends money to rapidly rectify its weakness, even though rapid rectification is impossible. When we look at China, we see a similar profile. 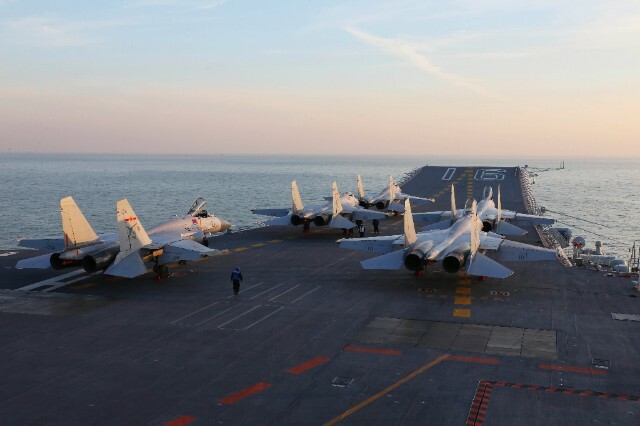 China is facing significant internal problems and hasn’t demonstrated an ability to successfully maneuver a carrier battle group, let alone fight the U.S.’ 10 fully operational and fully trained carrier battle groups. Nor can China invade Taiwan. During the Cold War, when the article of faith was that NATO was weak and the Soviets were powerful, the question always should have been that if this were true, why didn’t they attack? The reason was that the article of faith was a myth. The Soviets were a powerful force, but a direct challenge to the U.S. was not an option. The United States needs to look at the actions and not the statements or threats of the Chinese, and look objectively at China’s economic problems and the limits of its military capabilities. Assuming the adversary is stronger than it looks is good practice. But vastly overestimating its capabilities makes it difficult to act confidently in diplomatic, economic and military situations. Recently, when U.S. President-elect Donald Trump spoke to the president of Taiwan, much of the media expressed fear that this would cause the Chinese to do something rash. China and Russia do not act rashly. They are prudent players who have learned that the U.S. can be made to fold on a bluff. Knowing when China and Russia are bluffing and when they are not is essential, and to do that a clear understanding of their strengths, and especially their weaknesses, is essential. The U.S. is going through one of its periodic phases of self-contempt. But almost a quarter of the world’s economic output currently is in the United States, and the U.S. has the only genuinely global military capability. In evaluating the situation, U.S. planners must always bear in mind the true correlation of power, and not be diverted by stolen emails or the state of naval drones. They are interesting points on which to engage, but they do not represent true balance of power.